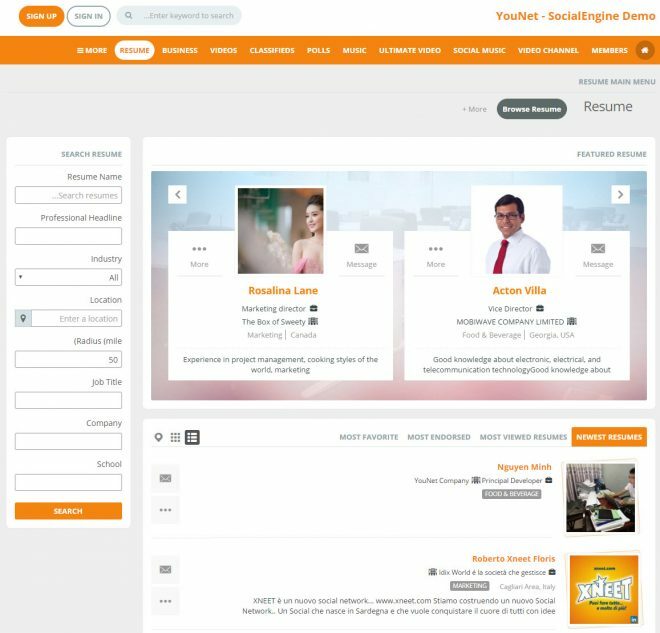 YouNetCo - SocialEngine Modules, Templates & Development > Blog > Product Upgrade: Resume 4.02 now supports Right-to-Left layout! How are you? We wish you are all good. We are having very special feelings when getting back to you today. And same as other times, we have an interesting update to you. For more information, feel free to visit its posting or experience yourself on our demo. The Resume 4.02 is available for you now. Please go to Client Area and get upgrade package. Last but not least, to celebrate this occasion, we are so happy to offer discount 30% OFF on all purchases of this plugin. You can use the coupon code SERESUME-30 when you order. The promotion is valid until end of Mar 17th (PST). 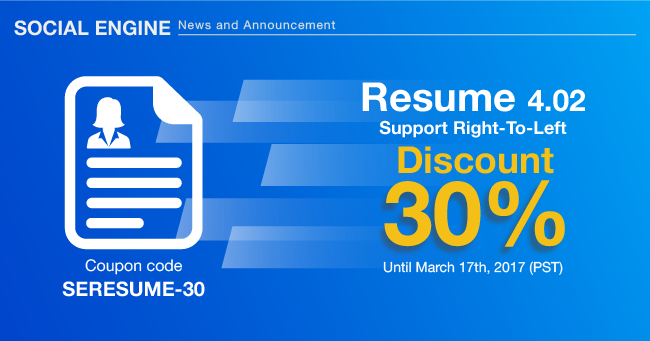 Hope that you will be satisfied in this upgrade of Resume plugin. If you still have any queries, please feel free to contact us and we’ll get back to you in soonest. Thank you for being with us. Please stay tuned as we will get back to you very soon. Celebrating SocialEngine as Best Social Network Software Award winner in CMSCritic 2016!